LAW PRACTICE EMPHASIS: Asbestos Litigation, Insurance Defense, Product Liability Defense, and Construction Defect Litigation. Admitted to practice in Oregon and Washington. 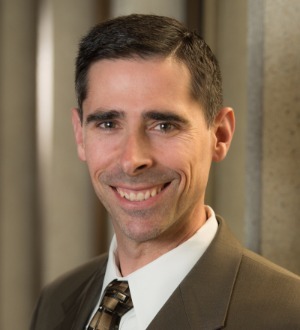 Allen E. Eraut is an attorney and shareholder with Rizzo Mattingly Bosworth PC in Portland, Oregon. He enjoys an active litigation practice defending personal injury and property claims. Allen has defended local and national companies in asbestos litigation, handled multi-million-dollar casualty cases, and managed construction defect cases for both general contractors and subcontractors. Allen has a wide variety of trial, arbitration, and mediation experience and has successfully argued in front of the Oregon Court of Appeals and Land Use Board of Appeals. He also has tried ten cases to verdict, including two recent defense verdicts on multi-tenant construction defect cases. After graduating from the University of Oregon, Allen clerked for Judge Lyle Velure at Lane County Circuit Court, where he gained firsthand knowledge of effective motion and trial practice. He spent three years with the Medford, Oregon firm Frohnmayer Deatherage, and five years with a large Northwest law firm defending individuals and businesses in civil lawsuits.